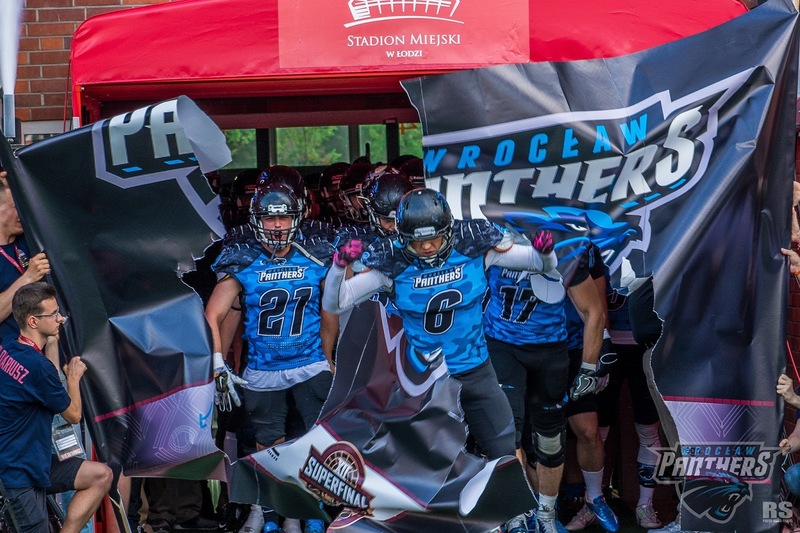 Ever since the team was formed by a merger of a few local teams, Wroclaw Panthers have been moving the bar higher and higher. From organizational side, flawless marketing to team development. Without any doubts, Wroclaw can easily be ranked as one of the top 10 European teams at the moment. Kuba Glogowski, Panthers General Manager, shares the team story. When you think about football in Wroclaw, you need to think about two different beginnings. One was the time when The Crew Wroclaw/Giants Wroclaw and Devils Wroclaw competed for the polish title until 2013. After 3 out of 4 national titles in a row stayed in Wroclaw both organizations came to the same conclusion – fighting against one another is nice if we want to stay a small sport. If we want to grow we need to compete in Europe and to do that we need to GROW UP – meaning working together. With that being said after several months of planning the Panthers Wroclaw were brought into the spotlight. The new team not only merged the best players in the country, but also merge two big corporate sponsors – Tarczynski SA and Mitutoyo Polska. That gave the club the financial security it needed to get on a completely different level. The new team was announced on a press conference, the players got the information a day earlier. It was all a master-plan in the making. The upcoming years have shown that this was (despite many initial opinions) the best possible decision and only the beginning of an Era. The expectation was a championship within the first year, unfortunately that never happened, as it was proved that merging a team with so much character isn’t an overnight process. 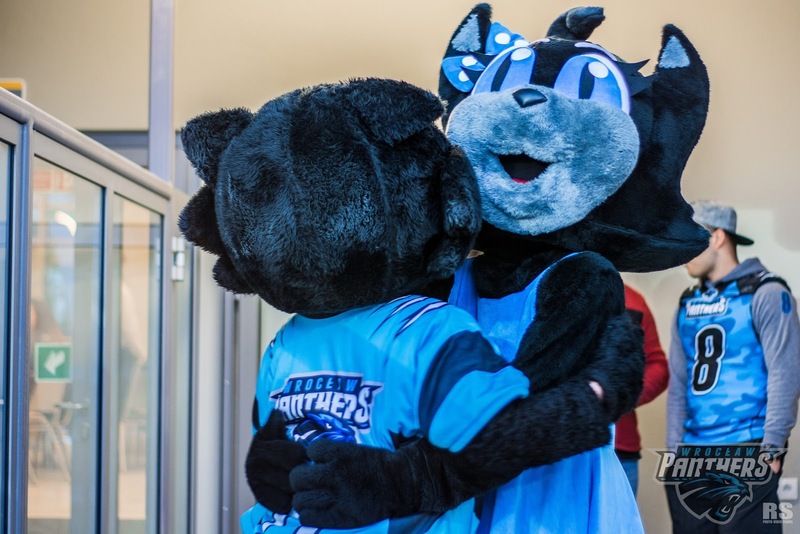 After a loss in the national final in 2014, Panthers knew the merger was only the top of the ice berg of work. Merging two teams meant merging the gear and everything in possession of both organizations. Everything was thought through. We knew that the only coach that can get a group of players, who usually spent their time trash talking to each other, would be a coach who knew them all. That left the club with one option – Mott Gaymon. A person who worked with both Giants and Devils, and was highly respected by everybody involved in football in Poland. His mentality and work ethic was the perfect fit for the teams ultimate goal – be the best in Poland and become one of the best in Europe. First practices, of course, weren’t a walk in the park. It took the players some time to get along. But their hunger for success made them do things that couple months earlier wouldn’t even go through their minds. Of course, many players quit the team when they understood that being a Panther will mean working hard everyday. It was said from day one - that if someone is a player for social media reasons – he isn’t needed. The best were picked and thought for the A team, the rest joined the B team fighting in a lower division. After the loss in the 2014 final, club decided Mott Gaymon’s mission is done. He did his job and it was time for the next step. Nick Johansen was picked as the new HC. He not only brought tons of European coaching experience, but also shown ways in which the organization must grow to become elite. The process continued. 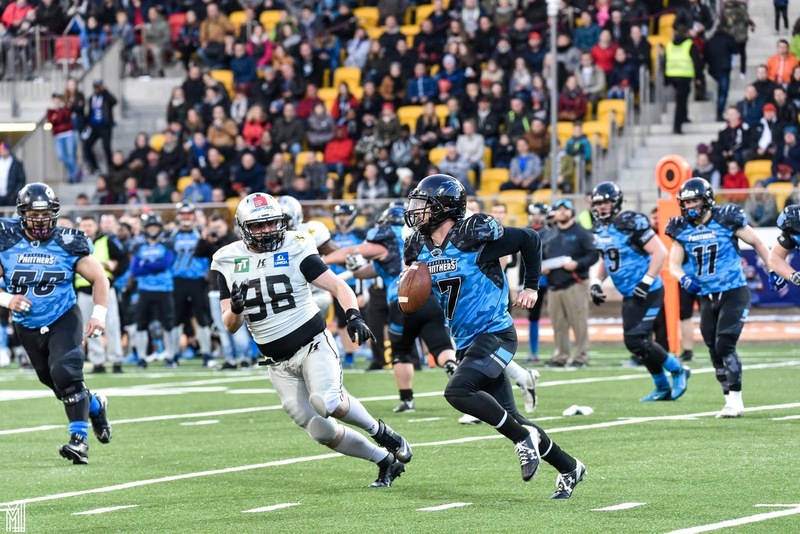 The whole scenery shifted in 2017, when after couple years of playing and practicing all over Wroclaw, thanks to The World Games 2017, the Olympic Stadium was finished - and the Panthers got the best American football stadium in Europe. High quality turf, permanent lining, goalposts and a great back-office base with offices, a club gym and conference rooms - transferred the organization to a whole different dimension. Being competitive is the first thing players must understand when joining the Panthers organization. Our team is built for success and the road to it, it shows we eat, sleep and work. That means hard work on every level: player, coach, management. Everybody is here to win a championship and only by doing the best possible in every area we can achieve that. We are not looking over our shoulder about polish football clubs. In Poland we look at mainstream sports and in Europe we look at clubs that are here for over 20 years or longer than we are, and we know we are gaining ground every year. We teach ourselves and make sure that each failure becomes the motivation to become even better. That mentality allowed us to make a comeback after back to back losses in the national final (2014 and 2015) to not only win the next championship, but also organize and win the IFAF Europe Champions League, which probably till now is one of the biggest shockers in the history of football in Europe. What also separates us from many national organization is the emphasis we put on our junior program. With 5 straight national championships and over 20 players already playing in the first team that started their road as a baby Panther(s), we know that working with the youth is the most crucial thing you can do. Our team is crazy, we can probably make that statement. At least in Poland there is no other football organization that brings together such crazy personalities. We sometimes say that if you think you've seen your players do it all – just give them another day. The players are really bonded together. Even the new players coming in from other teams/cities are being drag into the family really fast (well at least after they survive the rookie show at the spring camp). The first thing you notice joining practice is to show how hard we work. If you like it, you might actually make it. Even the imports are a part of the family, if they prove they want to be in this team and show 100% effort and trust (which as we know isn’t always so obvious). We are a young organization, which is run by people with a fresh and bright mind. That allows us to do things better than basketball or volleyball clubs in Poland. Especially when it comes to marketing and PR of the sport. As I've said earlier, the PR part of the sport is really crucial to our organization. We work with the city, cooperate with other clubs, visit schools and organizations gathering children. Whenever we have a chance to take part in charity - we do. It’s hard to count how many events we do every year. If we only have time - we love to show how proud and thankful we are for the city of Wroclaw, and always want to show that being open and being everywhere possible is what is important in sport. Sport in Poland often doesn’t get that and is closed, but we’re working to show that giving back is the only way to go. When you look at the names of club sponsors, you can see that it’s not a small activity. 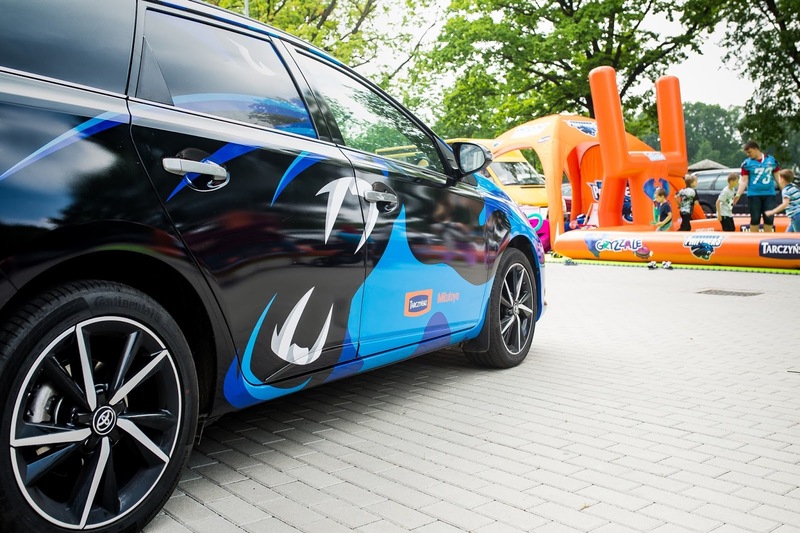 We gather companies and brands that are known all over Poland, but also all over the world: Tarczyński, Mitutoyo Polska, KFC, Toyota, Tyskie, Hard Rock Cafe, Fitbit - those are only some of the names that people know. That comes with an extra load of other big companies like Naszbus.com, Mineral Zdrój, Triada and many others who are helping our organization to grow and achieve our goals. Of course, the city of Wroclaw also supports us every year, which we are thankful for. At the end of the day, we do it for the fans. They are the biggest thank you we can get for our work. 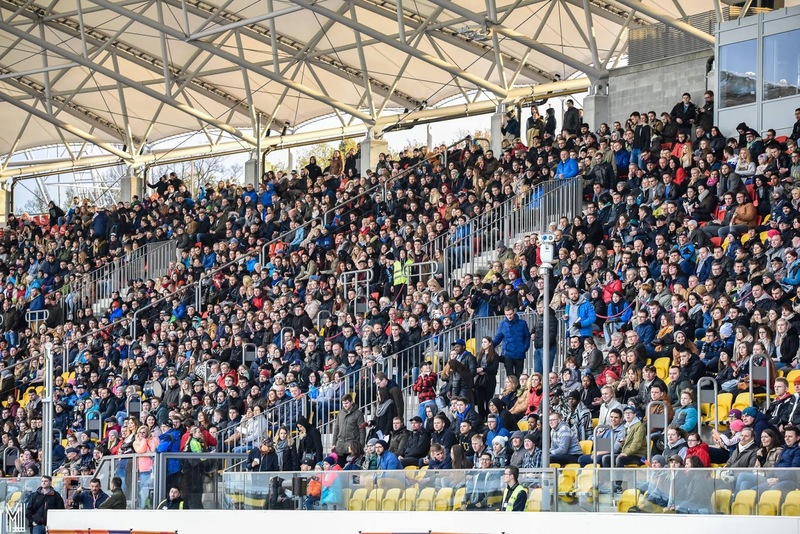 The fanbase is growing every year, with football having more attendance than basketball or handballs games in Wroclaw. Our fan club is just crazy! They travel everywhere with us. They even went to Amsterdam and now they are planning their trip to Turkey. We love Panthers Nation, and we do as much as possible for them. As mentioned before, we grow every year. We don’t get one day we think we are at the top, since we are used to getting the bar for ourselves higher every year. We are our own biggest opponent – meaning we always want to do better than we did yesterday. Right now, we can say we are at our best, but in a couple of months, that will already be in the past. With a new coaching staff, a great and battle tested management and sponsors who help us not only financially, but also with their business knowledge, we know that we can achieve big things. The plans are already in our heads, now it is time to get them going. And, last but not least, we live by the rule „what doesn’t kill you, makes you stronger” - so when you think when we lose we take a step back, we know losing is a part of the process and we will win as much as possible.